Probably a relic of a satanic cult or a cult devoted to the Great God Pan. 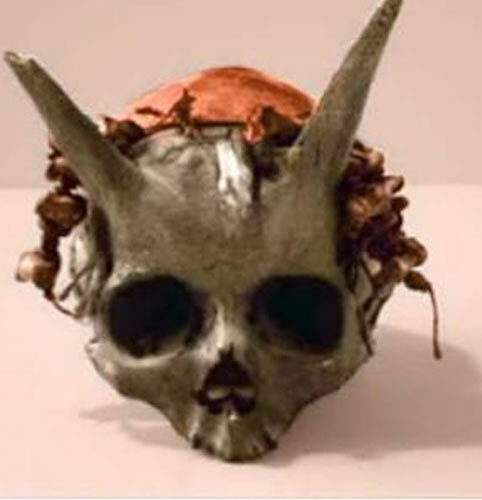 Although we thought that the object had been cleverly manufactured, an analysis has demonstrated that the horns are genuinely part of the skull. An in-depth examination and X-rays leave no room for doubt: the skull is not a forgery. 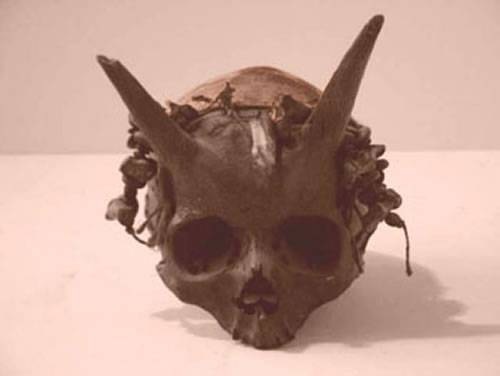 Giant skeletons of horned men were also exhumed in Pennsylvania (USA) in the 1880s. Like the skull presented on this site, the horns began above the eye sockets.